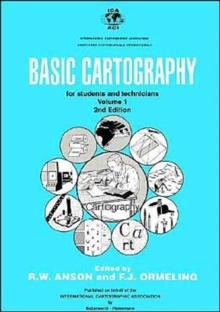 Cartography, until recently considered to be a discipline founded upon convention, is now enjoying a remarkably rapid rate of development. Techniques and points of view that were taken for granted two decades ago are being questioned or have been superseded by new methods and ideas. Today the discipline is in the middle of a revolution and little of its complex field remains unaffected by change. Man's general preoccupation during the last 20 years with communications and information has greatly influenced cartography: a well researched, designed and produced map certainly being one of the best methods for the graphic communication of information. It is now recognised that the cartographic process is concerned with data collection and manipulation, information display and image processing, rather than just drawing maps!